2 Day Discount For Trauma Group! A 10-Week Resiliency Group For Women! Sign Up on September 26 or 27th and receive $5 off each group! Commit for 10-Weeks while paying weekly for group! 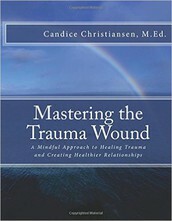 This therapeutic support group will integrate Namasté founder Candice Christiansen's workbook, Mastering the Trauma Wound: A Mindful Approach to Healing Trauma and Creating Healthier Relationships©2016. Become Resilient! Find Hope & Learn Tools to Re-Cover YOU! For women, trauma is often multi-layered and has a lasting emotional, mental, and physical impact. In order to heal, it is essential we are provided with three key elements: Safety (in body/mind/spirit), Support (networks/tools), and Self-Compassion. This class offers that and more! 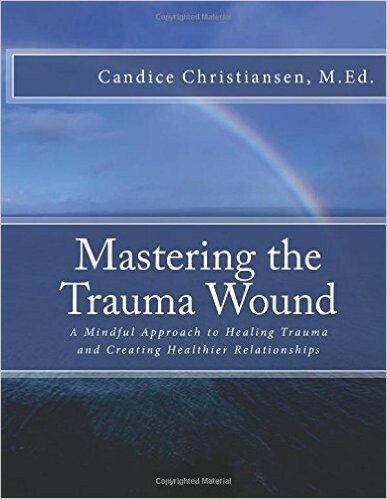 Join trauma therapist Annie Jacobs, LACMHC as she guides you on a journey towards lasting healing using founder Candice's workbook on Mindfulness Based CBT. Group Starts Friday, October 6th! Annie Jacobs, LACMHC, is a Licensed Associate Clinical Mental Health Counselor who graduated with her Master’s degree from Lesley University in Cambridge, MA across from Harvard University. She studied holistic therapy and received her Trauma Studies Certificate. She also has a strong background in Internal Family Systems Model. During that time, she studied abroad in Ireland learning about survivors of extensive sexual and physical abuse and complex trauma.